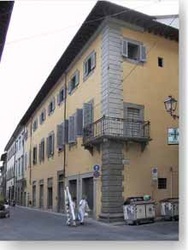 Crocini Palace in the main square of Prato was the property of the Diocese of Prato and Pistoia. 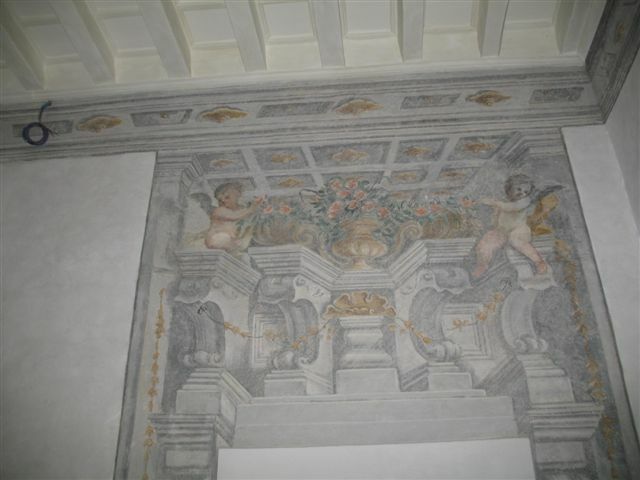 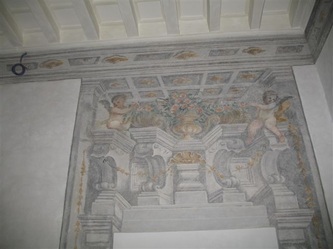 From 1722 -66 it housed the Biblioteca Roncioniana, the oldest library in Prato, and it was during this time the walls were decorated with frescos. 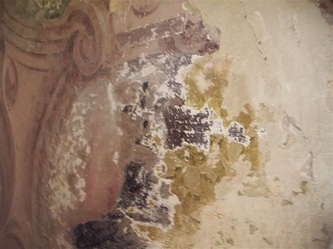 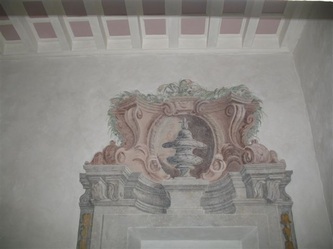 As often occurs, frescos are occluded and forgotten under layers of modifications over the centuries due to changes in taste or practical considerations. 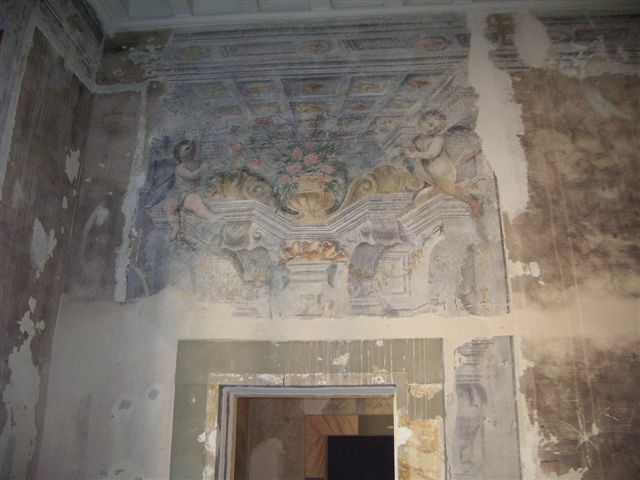 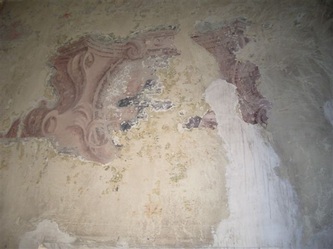 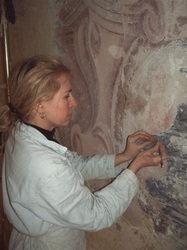 The frescos were discovered in 2008 during renovation, and the paintings were recovered from under multiple layers of whitewash and masonry. The frescos were relatively undamaged by their years of occlusion, and the restored paintings are to be attributed to Domenico Maria Papi, who was the favorite painter of the Prato Diocese in this period, or his close circle.